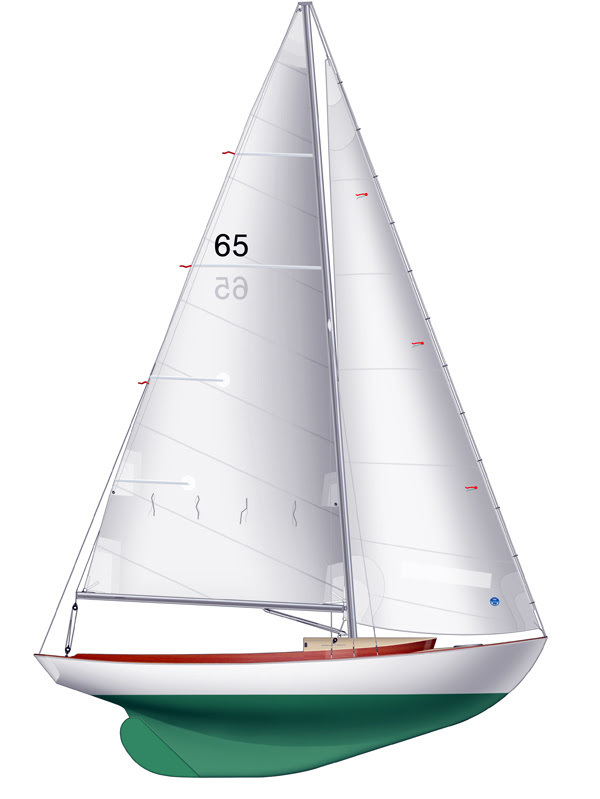 After two seasons of racing with cast-off Etchells jibs (the perfect size and virtually disposable on the racing circuit), Zani had a good ‘beer can’ racer that outsailed her PHRF rating, but the boat was ugly. Yacht designer friend Ezra Smith drew a new, lower cabin trunk and after 20 minutes with a chainsaw, the old trunk lay on the ground. After experimenting with a bandsaw, Zani built the improved replacement in plywood. 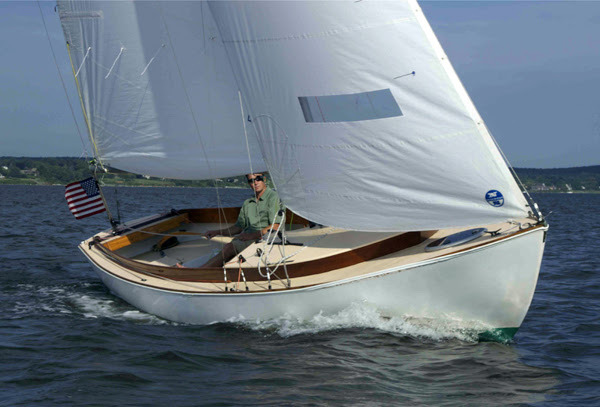 The coamings were cut down to fit, and after a repaint and new fittings, the boat, called Go Dog, Go after the children’s book by PD Eastman, was turning heads in Narragansett Bay. We bring you this short story about a sweet hull with an unsightly cabin house -to bring you to the present day which finds Mike Zani, Ezra Smith and Shipwright Dan Shea doing the same job and more, to Vela – a 1965 Graves Constellation. Zani and family raced and sailed the boat last summer and realized that there was room for improvement with the cockpit layout and again – with a makeover of the cabin house. The hull is a classic and she sails like a dream, but a new cabin house and an extended cockpit would provide for better near coastal cruising and a comfier racing cockpit. 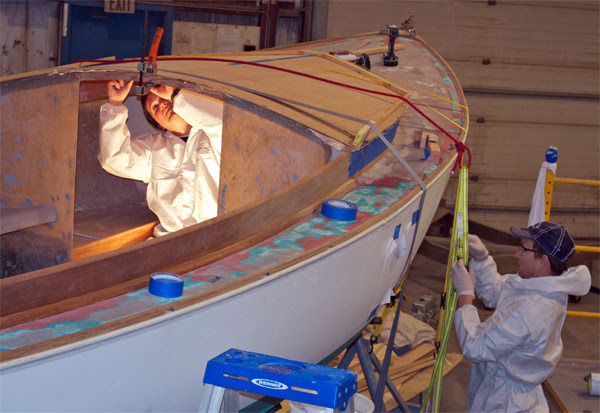 The project is just past the halfway point – with lots of paint and fiberglass yet to come. 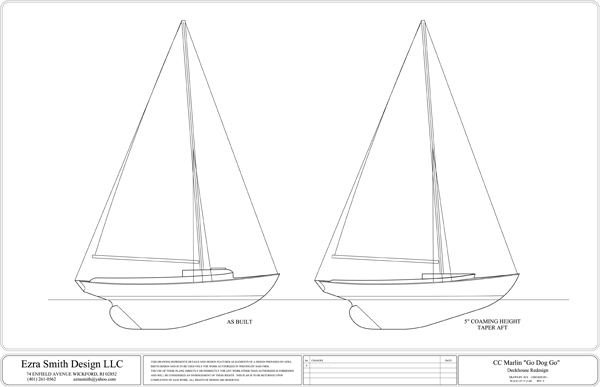 Stay tuned to our blog at TotalBoat.com for the latest Vela updates. We post almost daily update pics on our Instagram account and you can even WATCH the progress LIVE on the TotalBoat Workshop LIVE WEBCAM! Tune in and follow us for updates and progress. A video series is in the works of the whole restoration and will be posted later this winter. This entry was posted in Boat Showcase, Fiberglass, Reconstruction, TotalBoat Products and tagged Herreshoff, Vela, Zani by Kristin. Bookmark the permalink.